Looking for a healthy store-bought snack bar or protein bar? 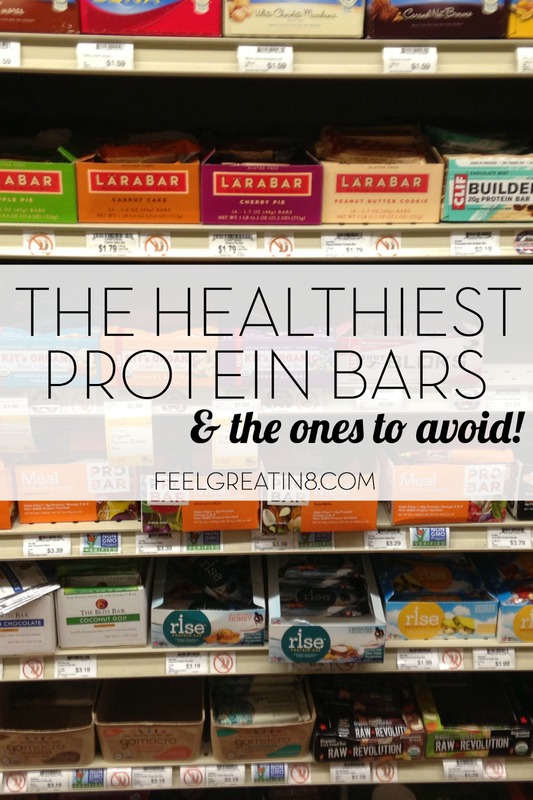 Checkout this list of the healthiest protein bars – and the ones to avoid! One of the questions I get asked most often, is about snack and protein bars. In general it is best to reach for fresh, real, whole foods, but life is crazy busy and we all need to reach for a store-bought snack bar sometimes. Unfortunately, so many of the products on the market are really just candy bars with some added protein or fiber. If you read the ingredient lists and nutrition info you’ll find tons of sugar, high fructose corn syrup, hydrogenated oils, and a bunch of ingredients you can’t even pronounce! 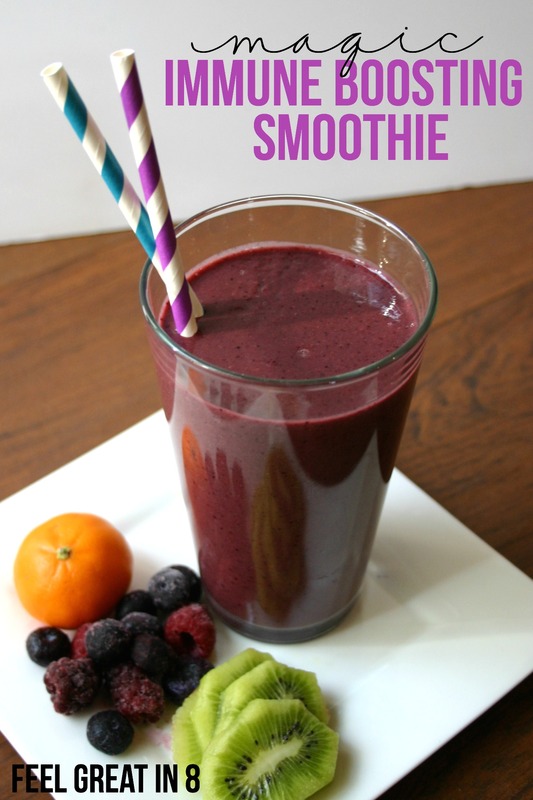 Short ingredient list – look for real food and initially processed ingredients. 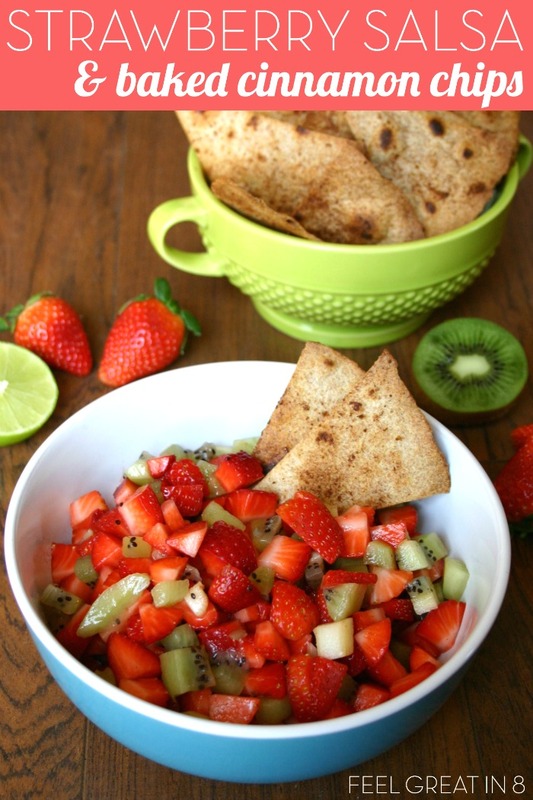 7 grams of sugar or less – The exception to this rule is Larabars, which have higher sugar amounts but no added sugar (the sugar grams come from the fruit). 200 calories or less – You’ll also want to use those calories wisely and look for bars high in protein and fiber. No milk chocolate – bars with milk chocolate would be considered a treat on the Feel Great in 8 Challenge. 1. 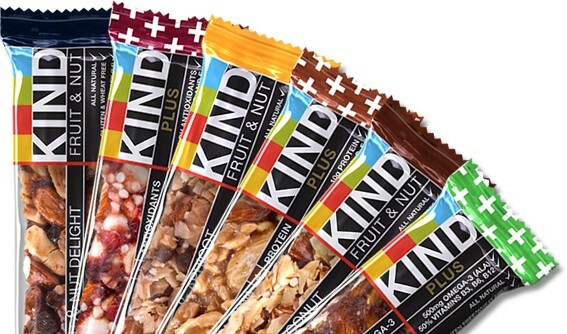 KIND Bars: These are one of my all time favorites! 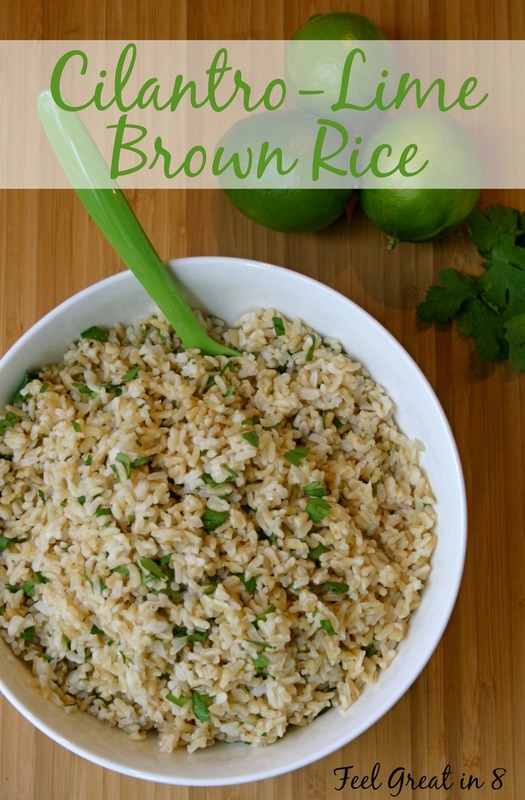 These have fantastic, short and wholesome ingredient lists, they are high in natural fiber and protein, and taste delicious! The cheapest way I’ve found to buy them is on Amazon. Dark Chocolate Nuts & Sea Salt = 200 calories, 6g protein, 7g fiber, 5g sugar. 2. 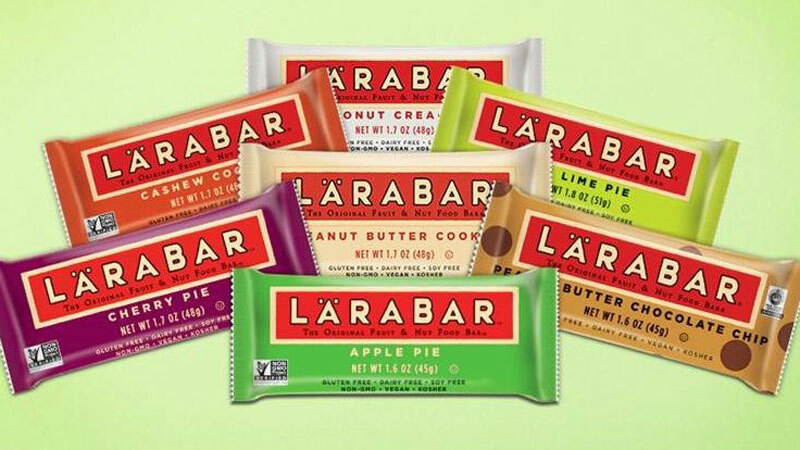 LARABAR: Okay, these ones might be tied for first place in my book. These bars are super yummy and literally are only made of fruit and nuts. My favorite is the Peanut Butter Cookie = 220 calories, 7g protein, 4g fiber, 18g sugar (from the dates, no added sugar). Plus, these bars can count toward your daily fruit servings! Oh, and I buy these on Amazon too. 3. 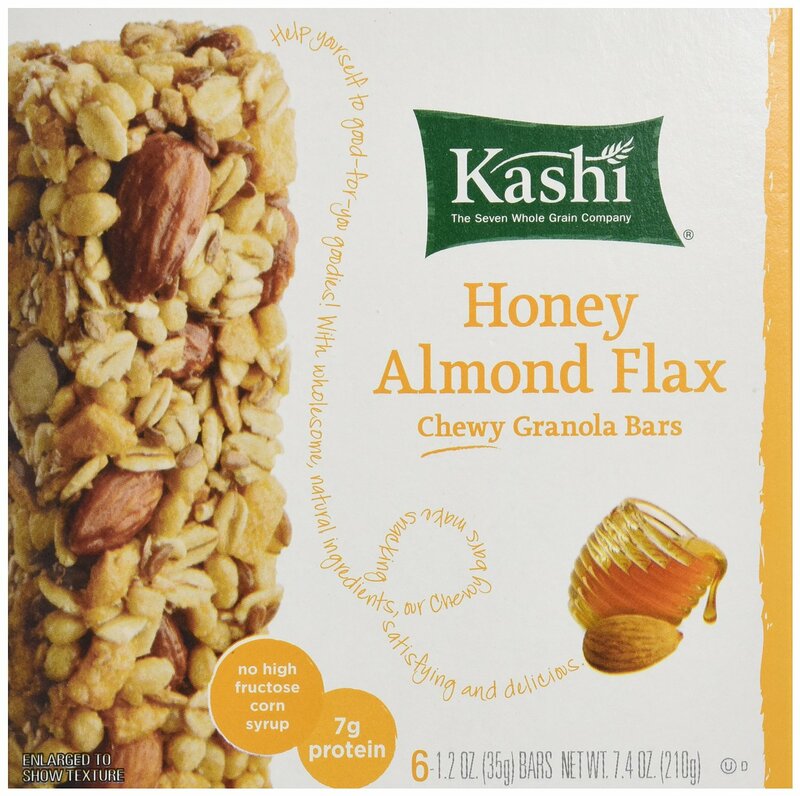 Kashi Granola Bars: These are super yummy and don’t include high fructose corn syrup or hydrogenated oils like lots of chewy granola bars do. I love the Honey Almond Flax = 140 calories, 7g protein, 4g fiber, 5g sugar. Amazon has a great price on these too. 4. Quest Bars: These ones are more expensive than that others and the ingredient list isn’t quite as clean, so these are the ones I reach for only when I really need the extra protein, not just a snack. 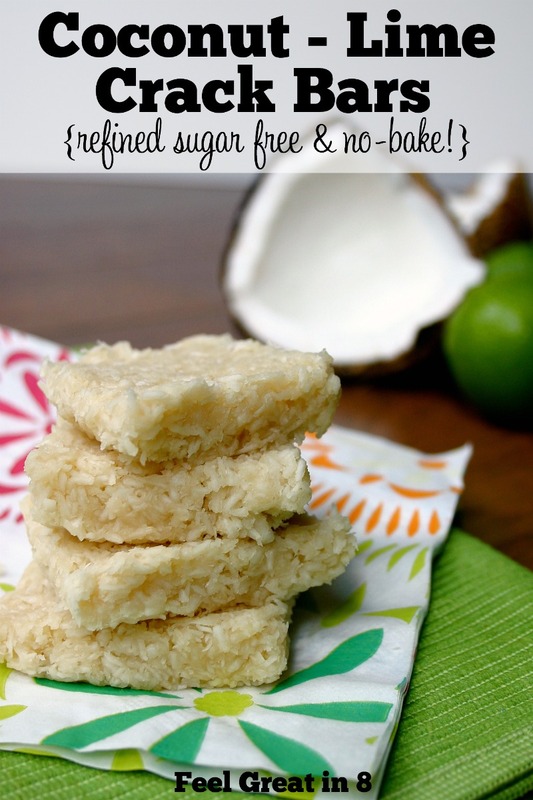 My favorite is the Coconut Cashew = 170 calories, 20g protein, 17g fiber, 1g sugar. 5. RiseBar: This is another bar that is higher in protein, but a little more expensive. This Almond Honey Protein Bar is made of 3 ingredients – almonds, honey, and whey protein. It is a little higher in sugar and calories from the honey, but I do like the added protein on hard workout days. Almond Honey Rise Bar: 280 calories, 20g protein, 4g fiber, 13g sugar. 1. FiberOne Bars: If you look closely at the ingredient list on these bars, you’ll find 3-4 different kinds of sugar, including high fructose corn syrup. All they’ve done to make these bars sneak into the healthy category is add a bunch of fiber. Definitely skip these. 2. Cliff Bars: The Blueberry Crisp variety has 240 calories and 21 grams of sugar – sugar is literally the number one ingredient! That means that there is more sugar in the bar than anything else! Yikes! 3. Odwalla Bars: This is another one that has sugar as the first ingredient. Banana Nut Nourishing Bar = 220 calories, 4g protein, 5g fiber, 17g sugar! Anything you want to add to the list? Favorites I missed, or ones you avoid? « FREE WEBINAR – Eating Healthy the Feel Great in 8 Way! What about Think Thin bars? 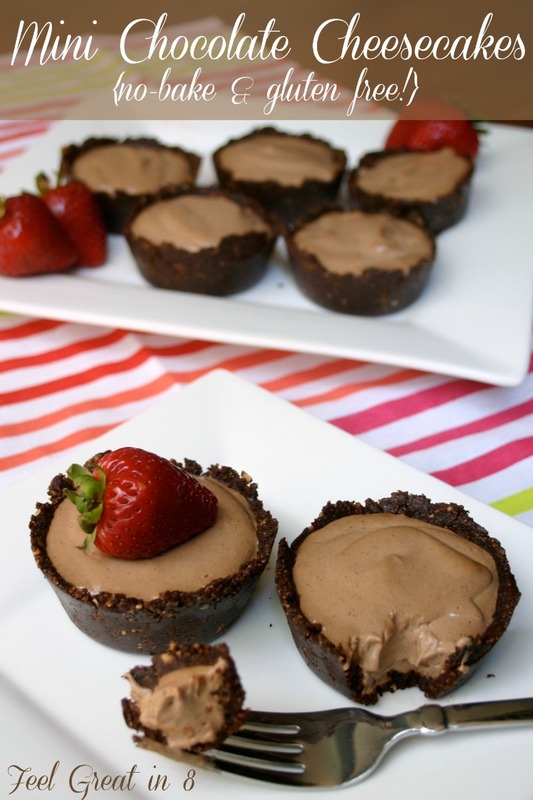 I found them to be pretty good – a lot of options with 0 sugars, high in protein, etc. Thanks for putting this list together. This is so helpful, just pinned! My favorite lara bar has 22g of sugar and I freaked out the other day b/c I heard they were so “healthy” I checked the back, and assumed it was the dates, but I wasn’t sure, and have been meaning to look it up. Glad to know that’s the case! And I JUST discovered the 5g KIND bars, YUM! I just saw the “Kind” bars at Costco for less than a dollar each. I think the box was 18 count and they were around $17…..in Utah. Sweet! My Costco hasn’t had them for a while, I hope they are back there too! Thanks for sharing Erin! This is very helpful, thanks so much! I also like to make my own Kind bars, with a recipe I found on Pinterest. They turn out to cost only 49 cents per bar, and that’s without ordering any of the ingredients online or in bulk, so it could likely be even cheaper! That is so awesome Renee!! I’m definitely trying homemade, thanks for the tip!! Hey there! 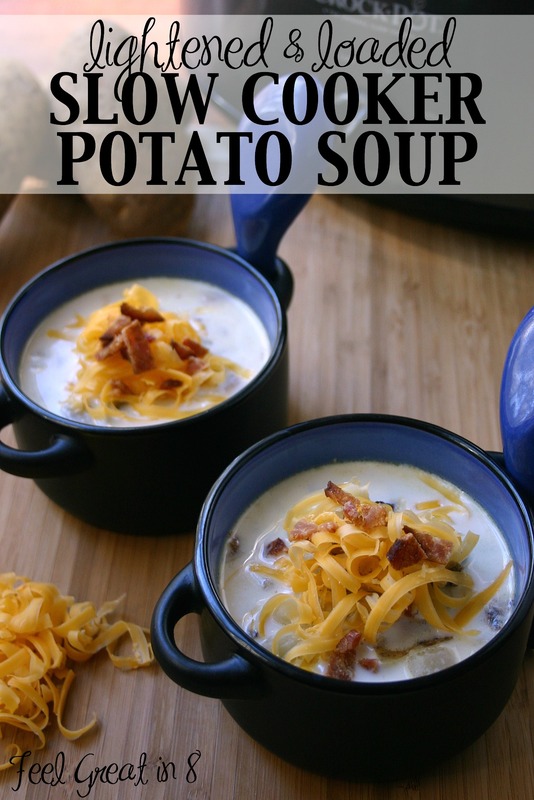 Found my way here from Pinterest. 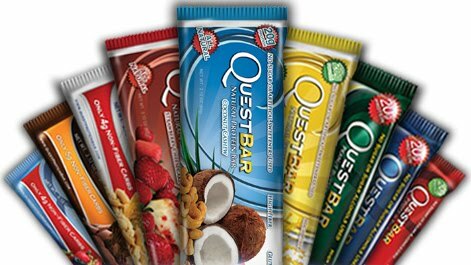 But I’m wondering, why don’t you like quest bars. Or rather, why do you consider them “not-so-clean”? Hey Morgan! My main reason is the sucralose, which is an artificial sweetener. The fiber source (IMO) is also a more processed one. Just not as clean as my top options with more real food ingredients. I love all your selections but everyone of them has nuts. My son’s classroom has a nut free policy and he’s a growing boy who is almost taller than me. I try to find shelf stable, tree nut free bars with high protein, high fiber, low sugar and under 200 calories but it’s super hard. Most of the bars I found on Amazon are loaded with an excess of chocolate but I consider that a treat. Any tips? That is tricky Maria! I did some research and found these Don’t Go Nuts Bars – not as high in protein, but not bad. I hope that helps!! I live in WA state. We have a company here called Zing bars. They’re sold at my local health food store. They are my favorite!! 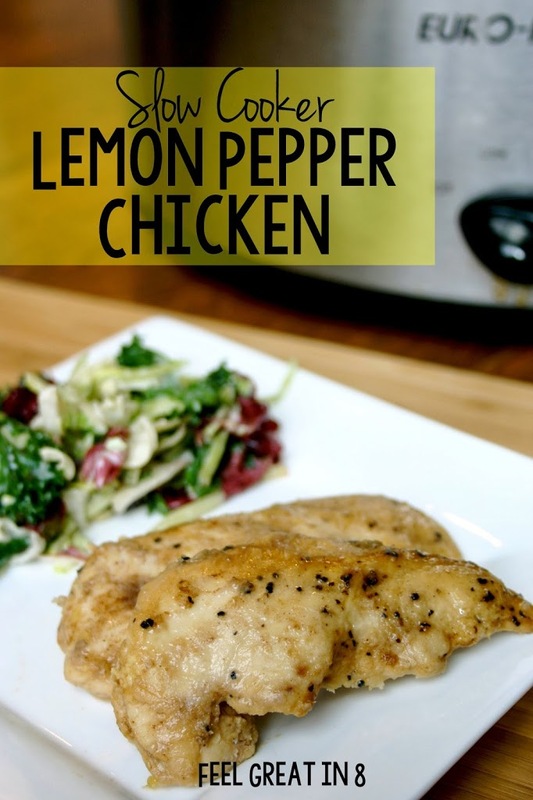 Quality ingredients, low sugar, ample protein, and great flavor. The flavor selection only gets better, too. Awesome! Thanks for sharing Sarah! What are your thoughts on Pure Protein bars? I’ve been looking for a low glycemic, high protein bar that is also vegan, gluten/soy free. This is great! Just curious on your thoughts on GoMacro bars. I don’t have any experience with those Samantha, so I’d have to do some research. I was appalled to see glucose surup And Palm kernal oil as two of the top ingredients in a Kind bar today. Not so kind to our bodies!